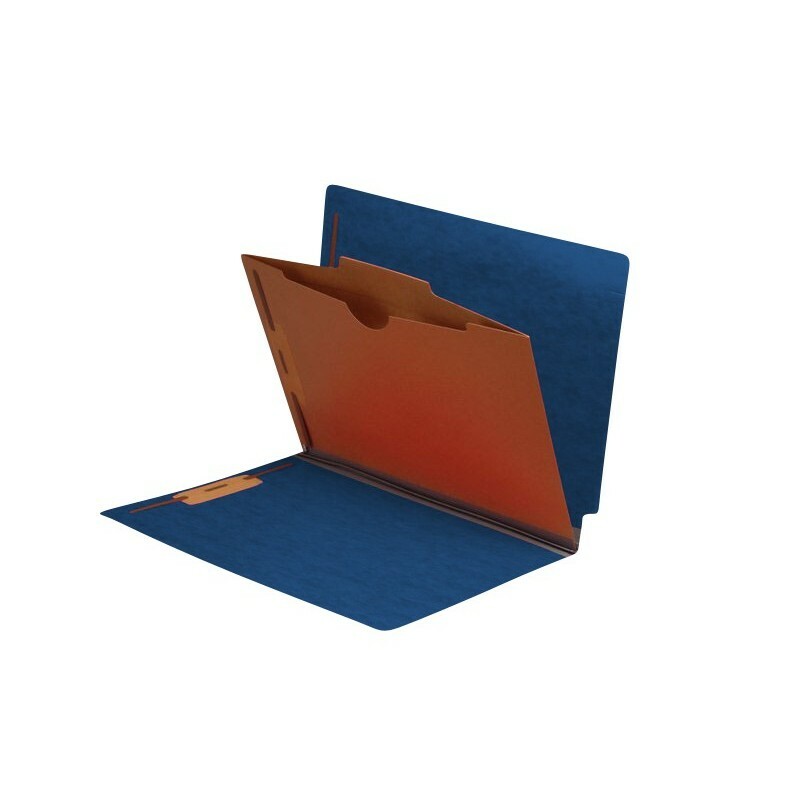 These Type I Pressboard Classification Folders have all the advantages of standard end tab classification folders, but also have the added feature of a full page size pocket style divider. 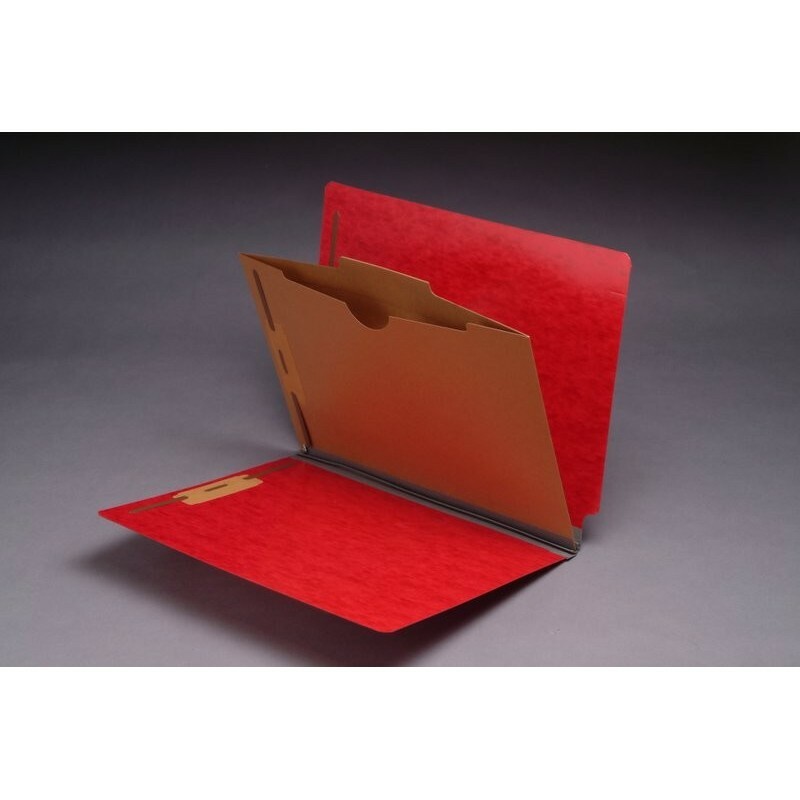 These folders are perfect for holding small documents and paper that cannot be punched. Additionally, two 2" fasteners are attached to each pocket and 2" fasteners are attached to the folder in Position #1 & #3. 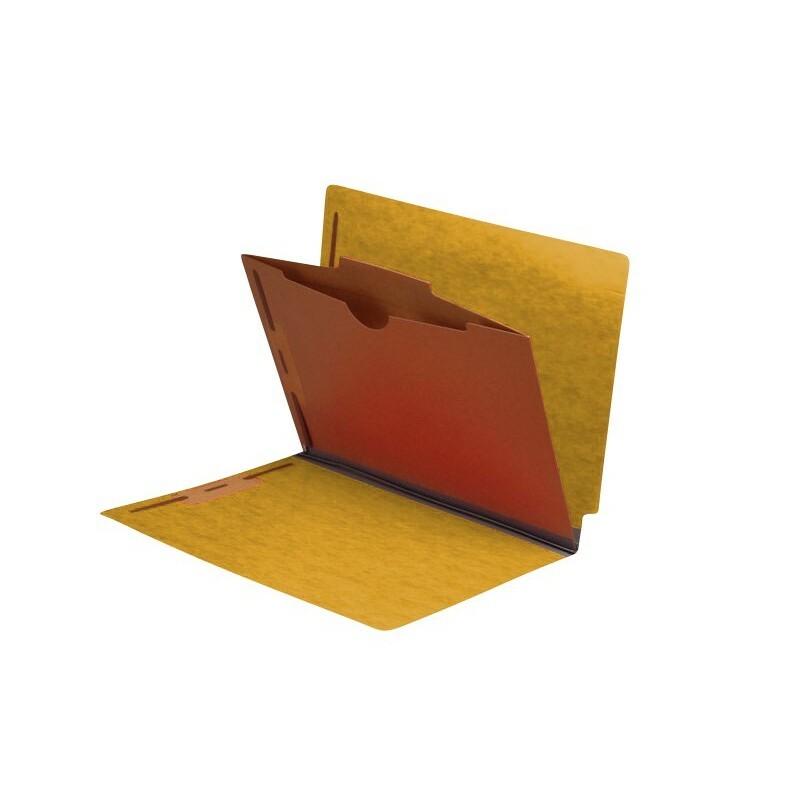 Whether they are used for active or inactive records, these folders are designed to stand up and last even in the most demanding environments. 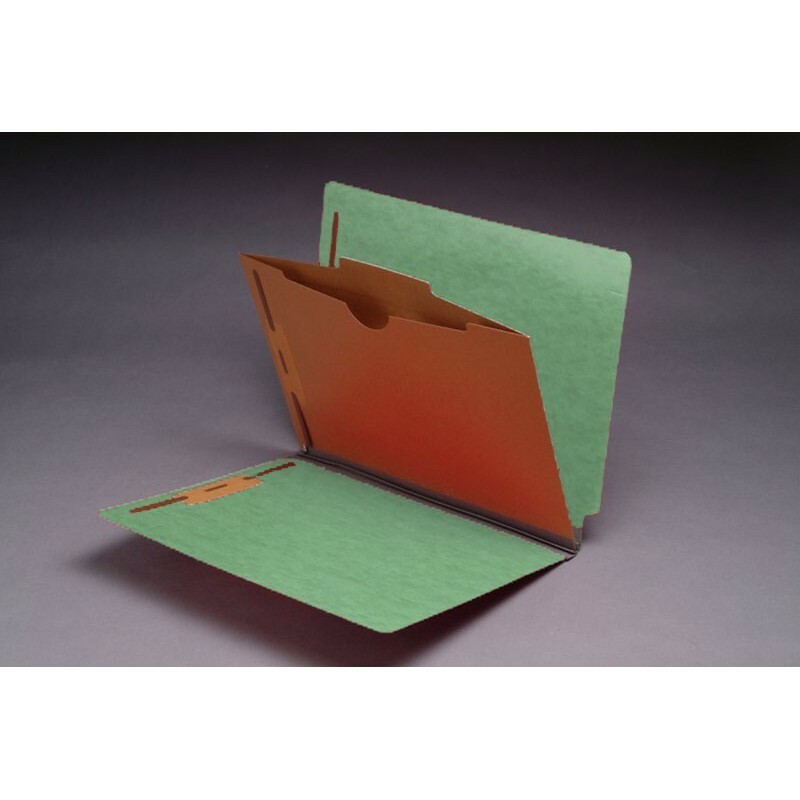 Each folder features a 1-3/4" Gray Tyvek expansion for maximum storage capacity. Folder Size: 12-1/4" W X 9-1/2" H, 11-3/4" Body. 4 Color Choices Available: Cornflower Blue, Executive Red, Green and Yellow. Please fill out the form below to request special volume pricing on the product S-9040.